We would all like to get a bit of extra luck when we play bingo but how far would you be prepared to go in order try and get this? Some people like to carry about a good luck charm all day, have one in their house or even do things in a certain way in order to try and generate some extra luck. 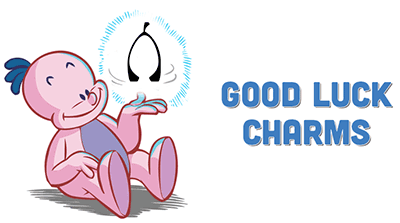 Would you be happy to use any of the following good luck charms? We know that bingo is a game of chance and cool perks such as the new rewards program will further improve your odds of winning delicious cash size prizes. But majority of players still believe in lucky charm when playing. Today we take a look at some of these good luck charms and how they can improve your chances at winning in online bingo! This is a good luck symbol that is used in the world of Feng Shui to bring wealth, unending love and a happy life. In the Indian culture this symbol also represents the goddess of wealth. The Mystic Knot symbol is made up of a series of interlinked loops and is often described as being the image of a snake swallowing its own tail. The Mystic Knot can be found on charms, necklaces, amulets and in a lot of other different forms, with red being the most common color. If you want to follow the Feng Shui approach then this good luck charm should go in the south west corner of the room you are using it in. The next good luck charm is a bit gross but, hey, maybe it’ll get you a big win and you won’t mind. Crickets are viewed as bringing good luck in a number of different cultures around the world. In Brazil, for example, when crickets start to sing it is said to be a sign that it is either going to rain or you are going to get a lot of money; we know which outcome we would prefer. The Chinese believe that having crickets in the house is good luck, as the huge number of eggs they lay is assign of abundance and prosperity. A similar theory exists in Barbados, while crickets are hugely important in Native American cultures. If you want to try and get some good luck with the help of a cricket then maybe you could keep one in a cage, as people do in some countries. In the Western world, a rabbit’s foot is one of the most popular good luck symbols. However, would you be happy having one sit next to your computer while you play bingo games? This is one of the most common good luck charms in many parts of the world and is also one of the oldest, with its use being dated back to possibly 600 BC. If you are going to use one of these charms then you need to get it right. First, it has to be the left hind foot. Secondly, the rabbit has to have been caught in a cemetery. Some people will tell you that the phase of the moon or the date is also important. These are among the most common good luck charms used by American gamblers and you should be able to find some for sale in a curio shop without too much trouble. You might even find one with a handy keychain on it. If we go back to Feng Shui for a moment, we will find that a red envelope with coins inside it is viewed as being a powerful symbol of good fortune and prosperity. It is classed as a way or respecting and protecting the passing on of age-old knowledge and it is common for Chinese families to use red envelopes when gifting money. There is an interesting story behind the importance of red envelopes, though. A young man killed a fierce dragon that had been terrorizing his village and was rewarded with a red envelope filled with money. If you are going to use the red envelope technique for good luck then put some coins in it and then place it in the south east corner of the house or in your purse. Another good luck charm most of us are aware of is the four leaf clover. However, have you ever actually seen one of these things? Well, while they aren’t common they do exist. It is estimated that for every 10,000 three leaf clovers there is one with four leaves. This symbol of good luck is strongly associated with the Irish and they say that the four leaves each represent something different. The first one is for faith, the second for hope, the third for love and the fourth for luck. If you have no luck finding one then you can either buy a real one online or else get a piece of jewelry or a key ring with the image of a four leaf clover on it. Another popular Chinese good luck charm is the Laughing Buddha. If you want to use one of these symbols at home then, according to Feng Shui principles, the best height for a statue is said to be 30 inches. This guy is said to be a reincarnation of the original Buddha and was a fairly eccentric monk who brought a lot of joy and laughter to the world. 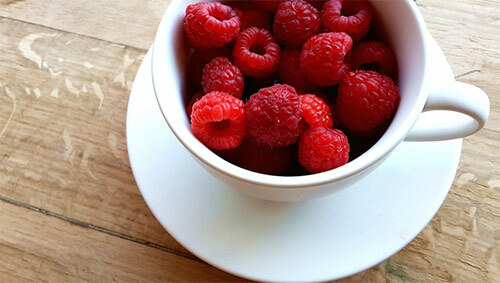 Having one at home is said to offer you happiness and wealth. If you want to see if he can bring you some good luck at bingo then you should place him facing the front door of the room you play in. The so-called Beckoning Cat or Waving Cat is another oriental symbol to attract good luck for the owner. In this case it comes from Japan and is called Maneki-neko there. This good luck charm has now spread to many parts of the world and you shouldn’t have too many problems finding one for sale. It is also called the Fortune Cat or Lucky Cat by some people and is said to be ideal for bringing good luck when placed in a home or business premises. The gold colored models are highly popular, although with a bit of research you should be able to find other colors too. 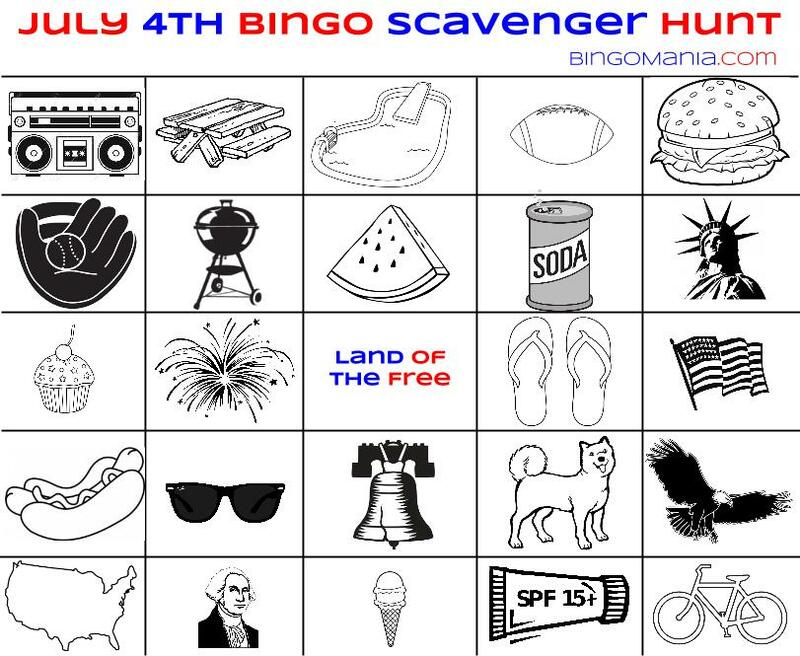 Your Turn whats your good luck charm playing bingo at BingoMania.com? Winners will be picked at random and credited by Monday, Oct 20th 12pm ET. 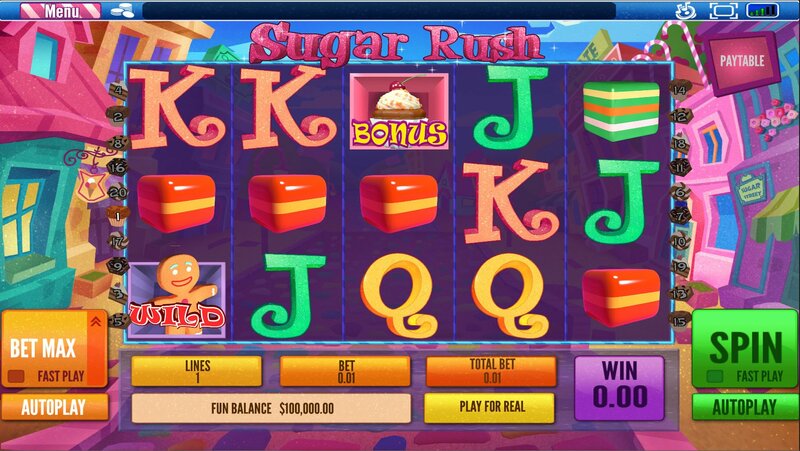 In addition to the new slot machines released last week, Bingo Mania just launched its first Arcade Slot Game called Sugar & Ice. Exciting! 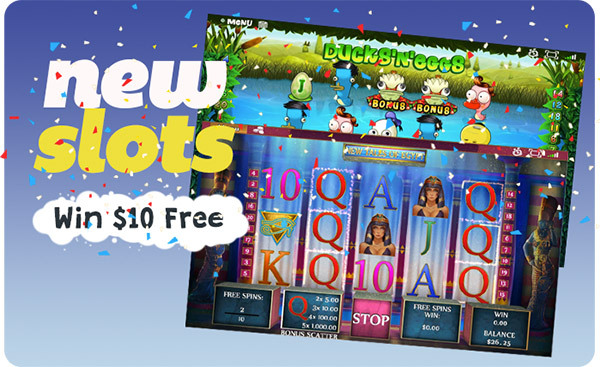 With all these new games, we might need to write a new post about the Must Play Slot games at BingoMania similar to the recent Your Bingo For Money Guide Okay, back to the new exclusive game. 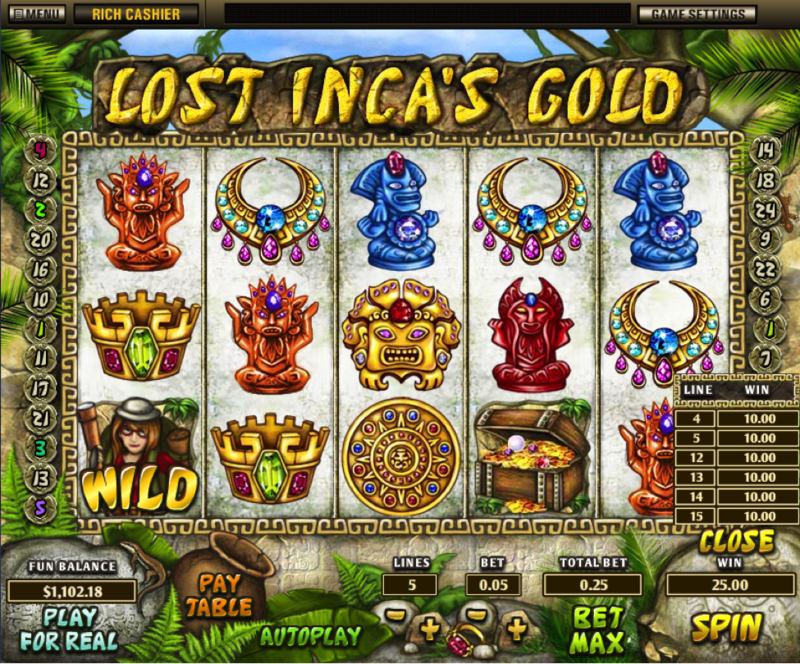 Is it an online slot machine or an arcade game? 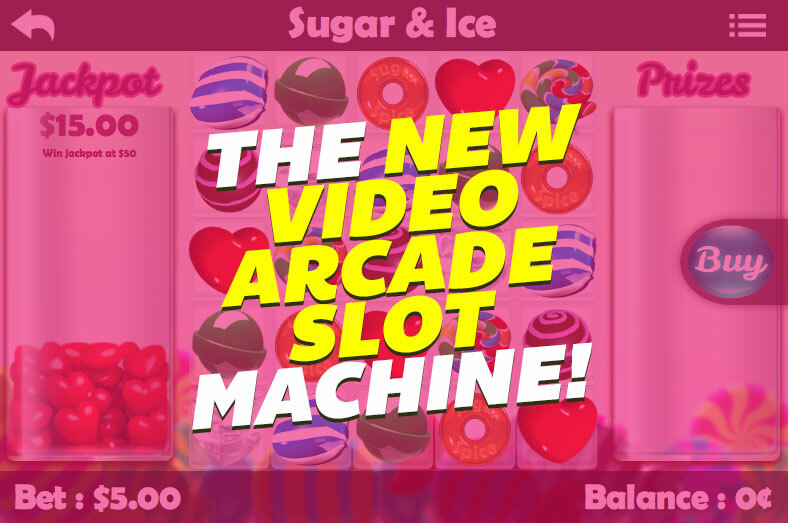 Sugar and ICE is the first slots arcade game available at BingoMania and it’s sure to be a hit! The maximum win is $50,000 and it seems you just never lose playing this game. It plays similar to other favorite games like Candy Mania and Candy Crush, but instead of having to match 3 or more candies you have to match 4 or more Sugar & ICE symbols. These symbols can be either candies or ICE. If you need a little help matching the candies you may be lucky enough to get the WILD yellow candy wrapper. This wild wrapper replaces any candy or ICE symbol to complete the win combination. 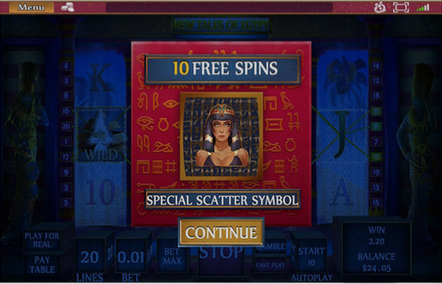 With typical video slot games, you spin once and you either win or lose (if you’re lucky you’ll get a scatter or bonus round). 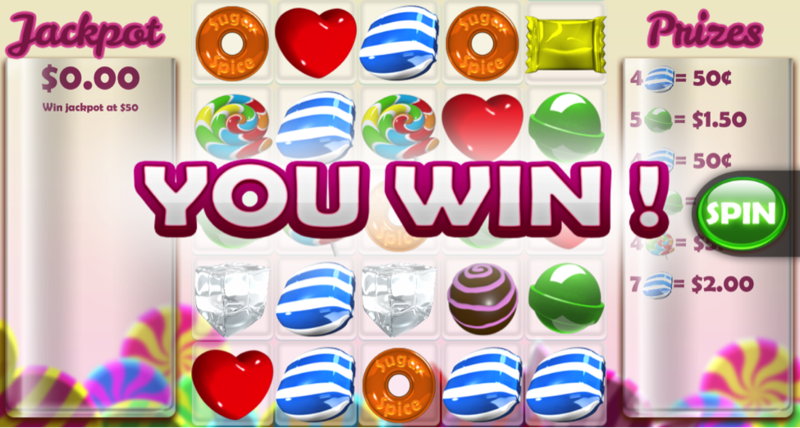 However, when you spin and win a combination playing Sugar & ICE, the winning combination disappears from the game board allowing for more candy and ice to fall from the top. If again match 4 or more of these candies you will continue to win and win until no more winning combinations remain. All this with just 1 spin! For example, if you’re betting $5 and you match 8 twisted lollipops you will get a win of $500 (circled in red on the paytable image below). How do you calculate this? 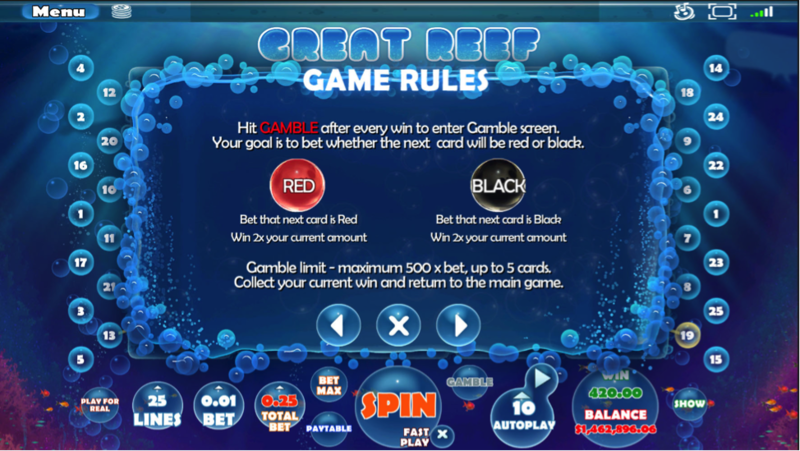 Take your Bet amount, multiply it by the multiplier in the column of the number of candies you matched. 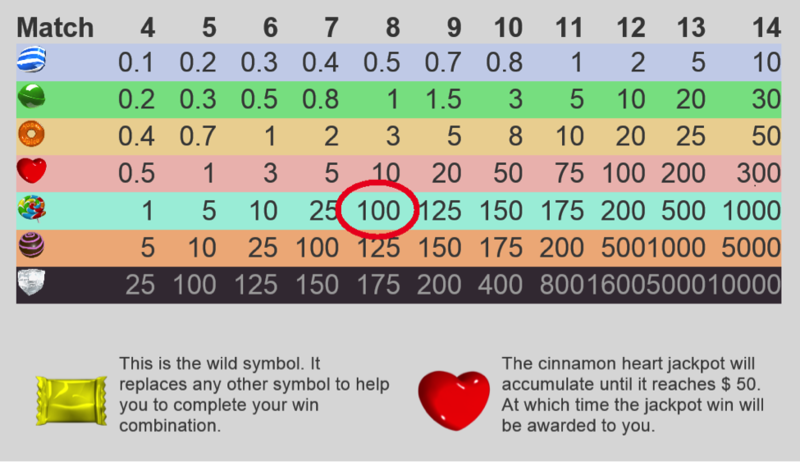 The jackpot starts at $0 and increases with every cinnamon heart you match in the game. When it reaches $50 the jackpot is awarded to you on top of all your winning prizes! 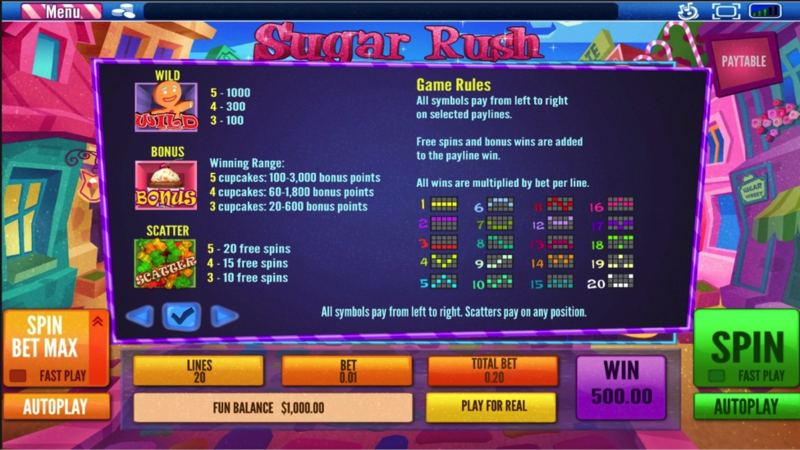 all depositing players will get a free $25 pre-loaded jackpot contribution when they play Sugar & ICE. This offer is only valid for a limited time and will be removed within a few days of this blog post. Also remember, your Jackpot is your personal Jackpot. 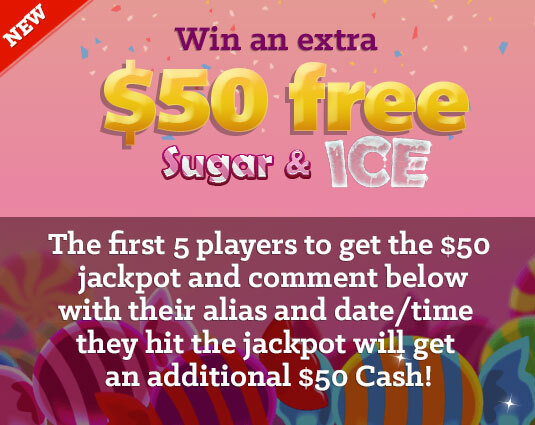 So be sure to log back into Sugar & Ice to ensure you unlock the $50 cash prize. The ICE symbol pays out the most and gives the max win of $50,000. So make sure you’re playing the $5 bet to have the chance to win the BIG prize! As you can see now, you have more games and activities along side your bingo games. 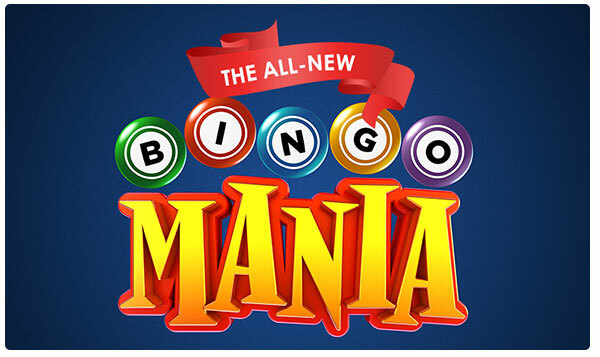 Bingo Mania blog special promotion! The first 5 players to get the $50 jackpot and comment below with their alias and date/time they hit the jackpot will get an additional $50 Cash! 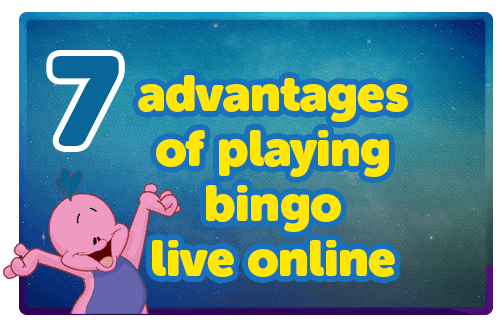 One of the most common things that players say they love the most about playing online bingo is the social factor, and that wouldn’t be possible without the existence of chat rooms. 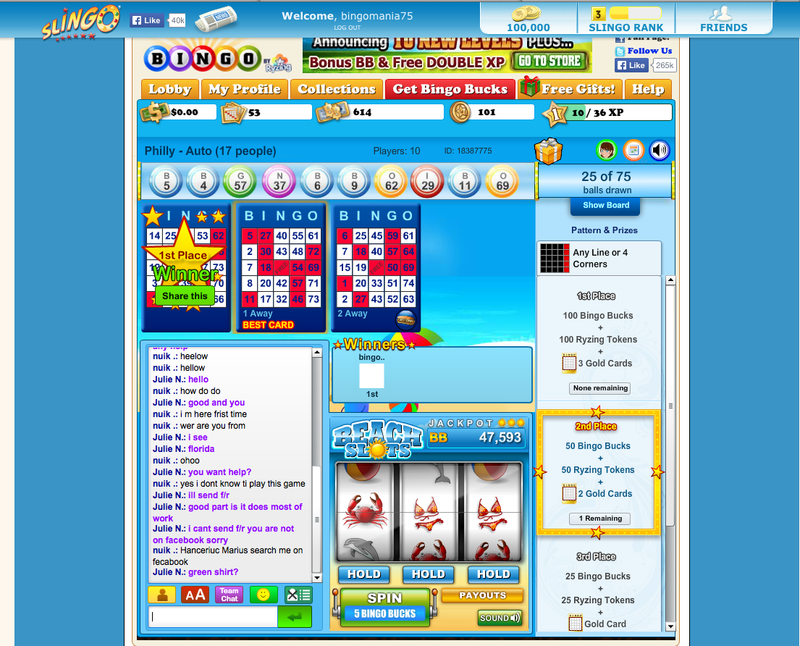 Nearly all online bingo rooms have chat windows although not all games are hosted by a chat moderator; they’re an excellent place to hang out and get to know your fellow roomies, as well as ask for help, talk about shared interests, and even play chat games where you can win prizes. If you’re used to playing bingo the traditional way at a land-based club, you’ll know that when a game’s about to start, it’s “eyes down” all round. The main reason for this enforced silence, as you’re probably well aware, is so that everyone can hear the caller shout the numbers out. However, with online and mobile bingo, the numbers magically pop up on your screen so there’s not the same necessity to have absolute silence at all times. Plus, provided you take advantage of the auto-dab option, you won’t even need to concentrate on marking the numbers off your cards. This frees up a significant amount of your time and allows you to sit back and enjoy the game without as much pressure. While some players prefer to take a spin on side-games at the same time as a bingo game plays out, others prefer to keep the chat going. There are plenty of reasons why it’s good to talk while you’re playing a game, and one of the nicest things to see in your chat room window is the amount of encouraging and congratulatory comments from your fellow roomies. 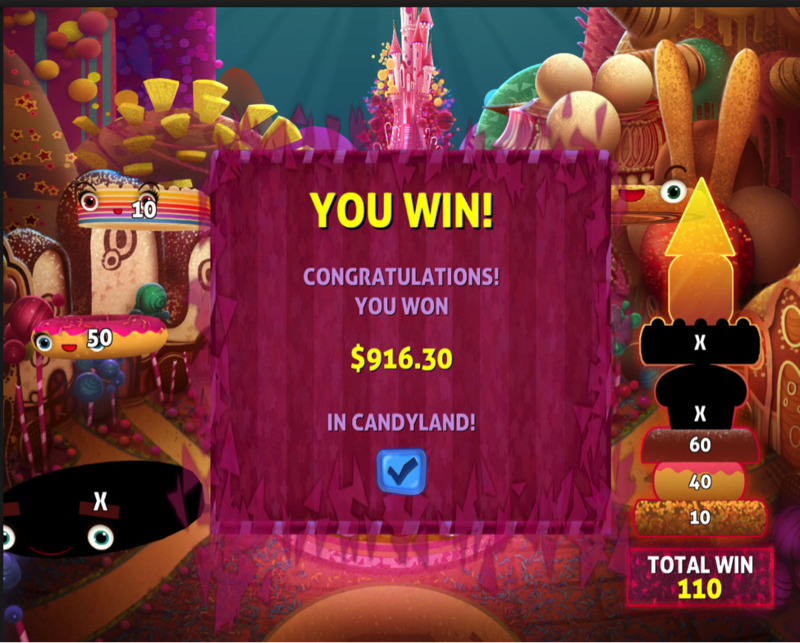 Should you win, it’s more than likely that not only your chat host will give you a jolly good virtual slap on the back, but the other players will as well; so, it’s always nice to return the favour when someone else scores a Full House, even if you really wanted the win for yourself. Once you become familiar with the chat moderators and regular players, it’s fun to catch up with how everyone’s doing. So, without saying anything inflammatory or disrespectful, if you’ve had a bad day at the office, feel free to share. One thing that won’t be tolerated, however, is insults that are directed at other players, so even if you’re only having a laugh, be mindful at all times of how you’re communicating. You should also avoid the urge to type entire phrases and sentences in capital letters as this is viewed as ‘shouting’ and gets in the way of important messages that the chat moderator may be trying to communicate. What role does the chat host play? At online bingo sites, there are several hosts who normally work in shifts so that there is sufficient cover around-the-clock. The good news is that they’re around to make life more enjoyable and fun for the players and it’s only in extreme circumstances that they would ever consider banning anyone from the chat room or site. Their main job is to make people feel welcome, but they’re also responsible for answering questions and resolving issues, announcing winners, explaining chat games, and keeping the general mood cheerful. So, if you’re new to online bingo or a particular site, and you want to ask a question about the game you’re playing, just type your query as concisely as possible in the chat room window and they’ll get back to you as quickly as they can. The hosts are often referred to CMs and CHs (chat moderators and hosts), and you may well one day want to consider becoming one yourself. While jobs are often available, just be aware that it’s quite a demanding role, which requires patience, multitasking, strong levels of concentration over long periods of time, the ability to disperse potential arguments or friction, explain game rules confidently, and ensure that everything runs like clockwork …… and of course have excellent keyboard skills; so, while it might look easy on the surface, the role of a CM is anything but. One of the things we’ve already alluded to a couple of times in this article is the topic of chat games. These are a great way to ensure that your time playing games is never dull, and they also offer you the opportunity to get your hands on additional prizes. The diversity of chat games is truly extraordinary, so we really can’t give you a definitive list. However, here are just a few examples of the types of games you might come across while you’re playing online. Some sites like to run trivia quizzes where roomies need to answer either one or a series of questions correctly in the quickest time possible. In return, the CM will usually dish out loyalty point rewards. Quizzes are a great way to test your knowledge and reaction times, and it’s always handy to pick up extra loyalty points for free. Some sites reward you for when other roomies win. It sounds a bit odd, we know, but it’s all to do with being neighbours (or Nabors, as they’re often referred to in the world of online bingo). For example, if your name appears in the chat list directly above or below the last winner, typing “Nabors” immediately after their win could secure you some handy BBs. 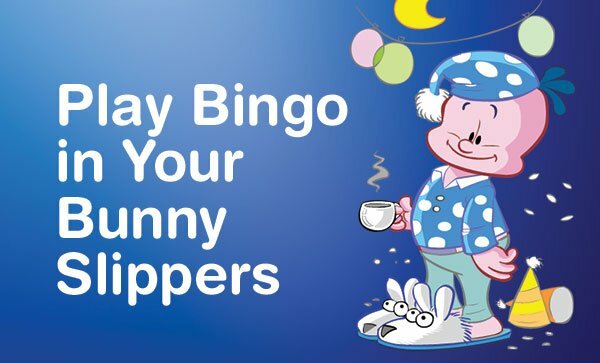 This type of game is pretty popular across many of the big online bingo sites, and when the CM types the first line of a song, the first person to guess the tune correctly gets some free bonus credits or loyalty points. Now that you’re all clued up and ready to get chatting, why not head to your favourite online bingo site and introduce yourself to a few CMs and roomies. If you can’t find a schedule of what types of chat games that the site hosts and what time they take place, ask the customer support team who will no doubt be very happy to point you in the right direction. If you’ve visited BingoMania in the past, you haven’t seen anything yet. We just launched the new re-design of BingoMania.com this is our first site re-design since 2008. So you can say, it was a long time coming. 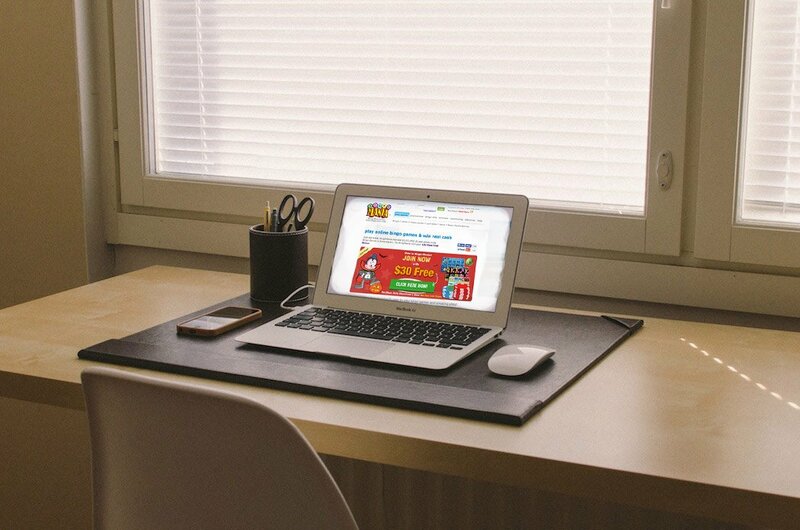 The whole new site design for our players is going to make bingo games online better than ever! We’ve been in the online bingo business since 1996, but that doesn’t mean we can rest on our laurels. 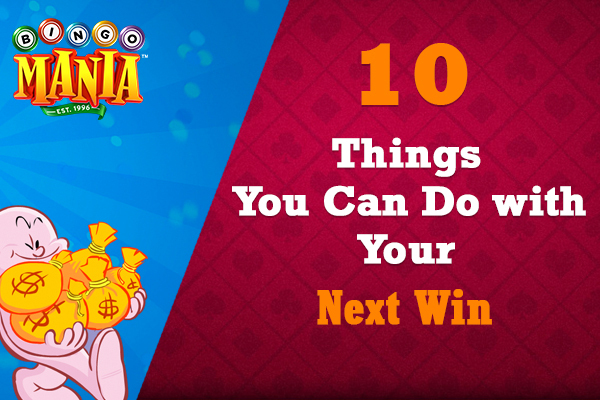 Want more chances to win big? We will be releasing some bingo variants for you to play over the coming weeks. There will be more options on the cards, and more fun! Keep an eye on the Mania newsletter as well as the promotions page for daily surprises you never know what Skippy will have in store for you. It could be a session of colossal bingo game prizes to special free XP giveaways. It was time for a brand new site design, one which would make your experience even more enjoyable. Not only is the look improved, but our techies and designers have worked together to ensure the site and games even run much faster for you. Part of our design change is to make it easier than ever for you to enjoy the games you love. 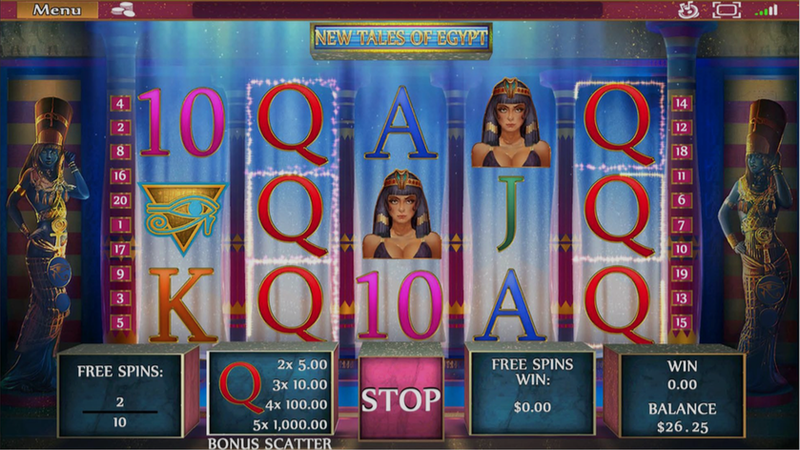 One of the new features is your favorite feature for the slots lobby. You’ll be able to favorite your preferred games and be able to sort through all the exciting slot games available at BingoMania! Our cashier page has received a complete overhaul to help you to deposit and see the clear deposit bonus you’ll receive. s, . If you’ve been a member of BingoMania and you’ve been enjoying our bingo games in the past, we want to thank you for your patronage. With our new site design, we hope to make your experience better than ever before. 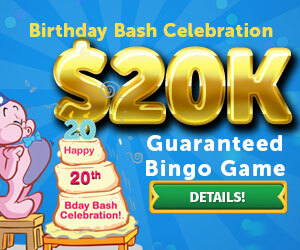 We hope to continue to be your number one online bingo game site. What do you think of the new BingoMania Design? We would love to hear your feedback, please let us know any comments or suggestions you may have in the comment box below. 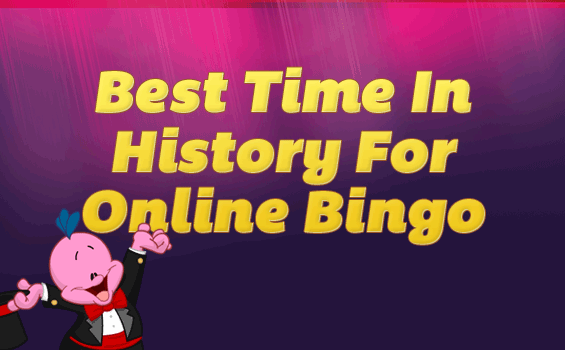 Playing online games is fun and now that you can play free bingo practically on virtually any device, we thought we take one step back and highlight a few of today’s leading free bingo sites. The following sites might have an app or not. That’s not the focus. Simply, we want to highlight the communities that have shaped and continue to provide casual games on the web. 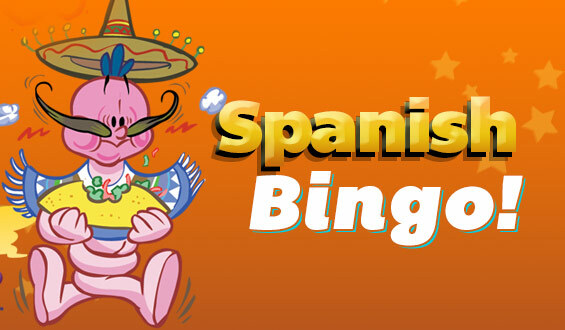 Some of the sites are 100% only bingo, while others offer a mixed of free bingo games. All of the listed sites are 100% free (meaning it costs you nothing to play with a few pro versions to play ad-free). Tip! 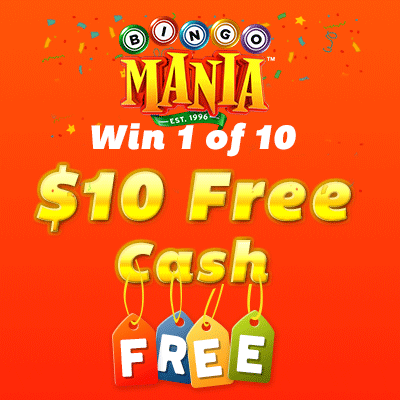 If you’re looking for complimentary games but with the ability to win cash prizes, then we invite you to check out the BingoMania free bingo games. As long as we can remember, Pogo has been a top tier destination for free games online. They’ve been able to support free play through ads and now they have introduced “Club Pogo”, a premium account where you play all the games you love but without annoying ads. Seriously that’s the biggest downfall of free sites. But at the end of the day, they’re a business with real expenses to keep their games performing at their best. Bingo Luau is a Hawaiian themed game with a relaxing tropical feel to it. It’s traditional bingo where you have to daub your numbers to match the games patterns. As you know, like any bingo game, the main object is to “bingo” before your fellow players. At anyone time, you can find 500+ players playing this game spread across a slew of different chat rooms. If you’re after a relaxing game, we think you’ll enjoy this popular and classic game. 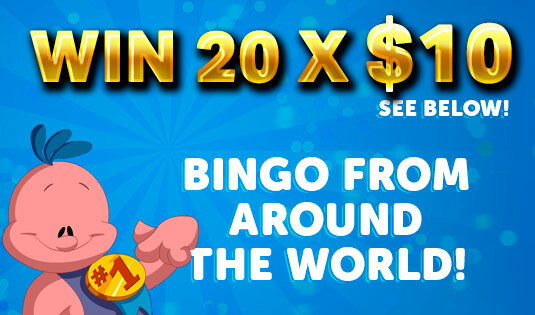 The popularity of Slingo is no surprise but many players forget that the folks behind the popular game also offer 3 variety of free bingo online games over on Slingo.com. The Bingo around the World rooms are great. As you move up the levels, you’ll have the chance to unlock rooms based around the great cities of the World. All in all, there are well over 50 different rooms. So variety is never in question. Our only reservation about Slingo’s bingo games are that all the rooms have the same look and feel. Though the rooms have fun names, it doesn’t spread into the actual game design. If they can slowly upgrade their room skins, we believe it will add tons more to your excitement. Right now, it just feels like you’re in the same room. 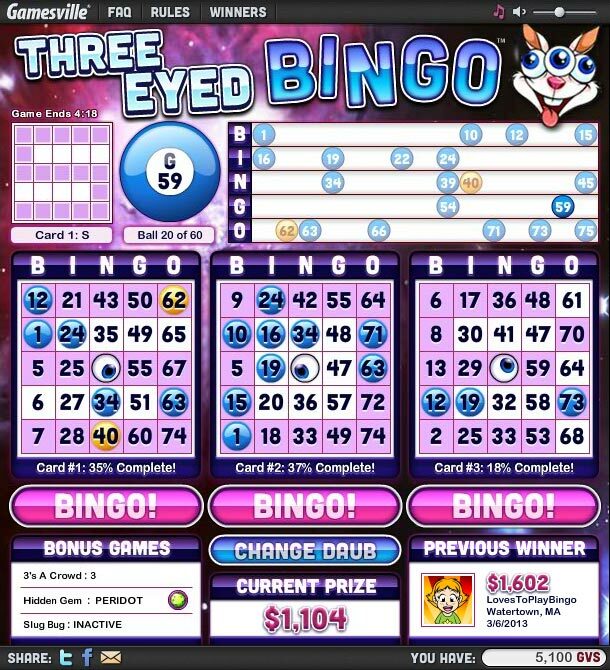 Gamesville’s Three Eyed Bingo is a fun online free game. It’s super simple. 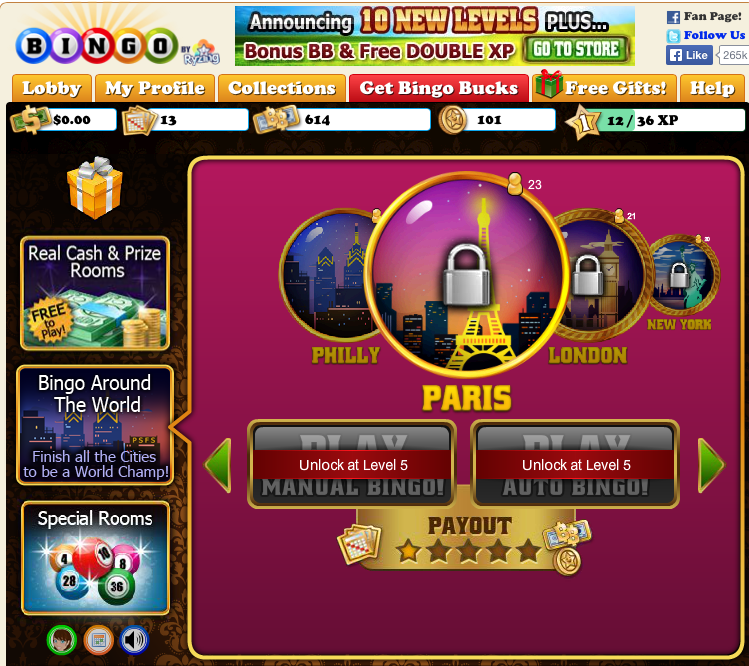 You simply play bingo and earn points for your activity as you daub. You won’t find any flashy or complicated point system unlike the other sites listed here. You just play 100% pure bingo. Our favorite game has to be the Three Eyed bingo. As they say, you really wish you had three eyes to keep track of the fast moving bingo game. For more, check out how to play three eyed bingo instructions. 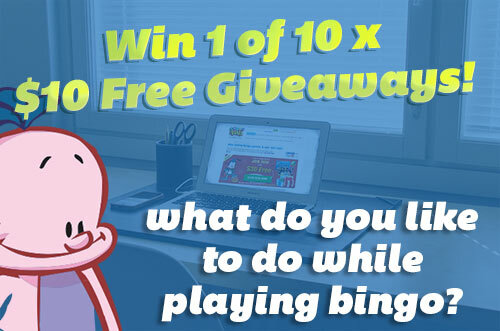 HeyBingo.com has been around since 2001 and has always been a free site with one focus: free bingo games. 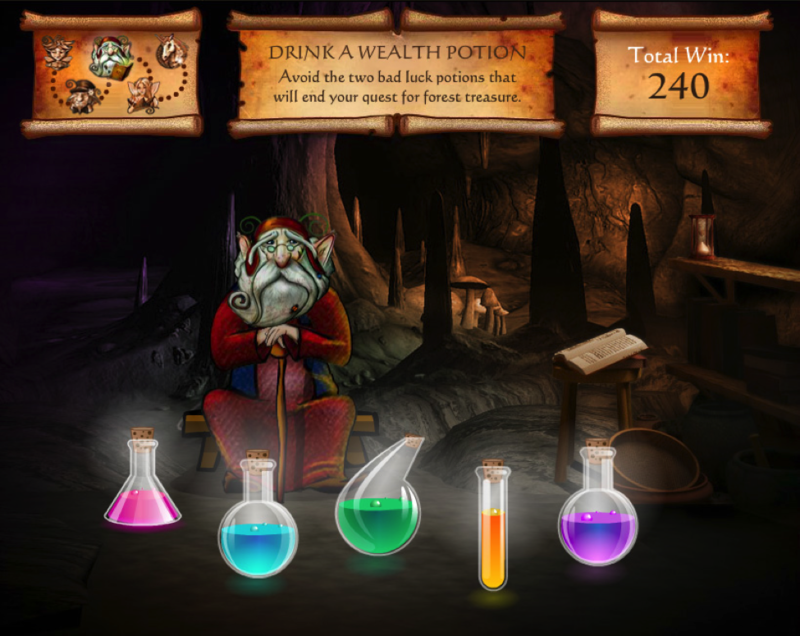 The object of HeyBingo games are simply to play, collect points and occasionally be able to exchange them for prizes. 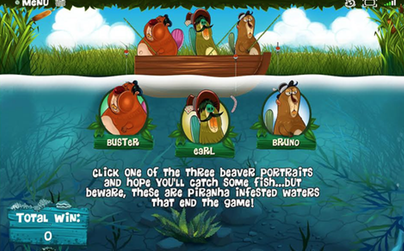 Over the years their popularity has dwindled down a bit but you will still be able to find an exciting game throughout the week, specially during the evening hours when the traffic to their site is at its highest. 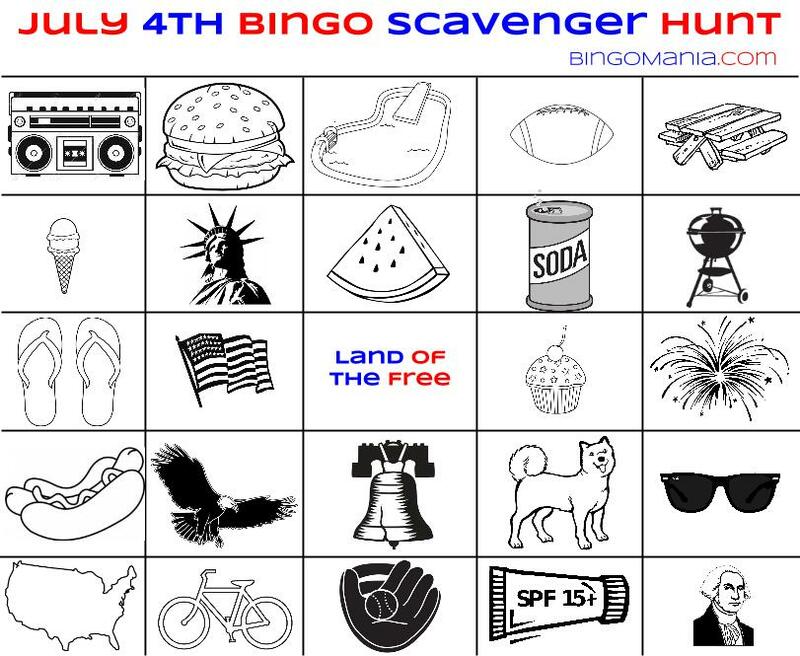 There you have it – a complete roundup of today’s best free online bingo sites. 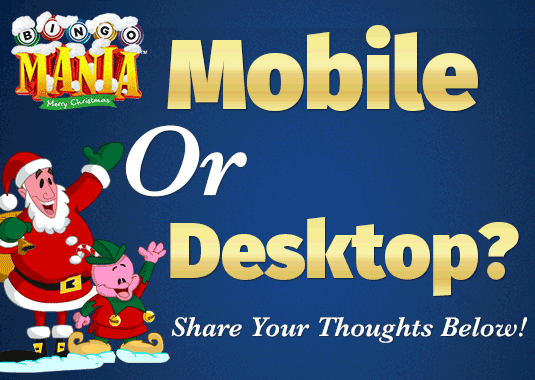 Now it’s your turn, which are your favorite free sites to play on? Are there any other portal that we should highlight on this list? 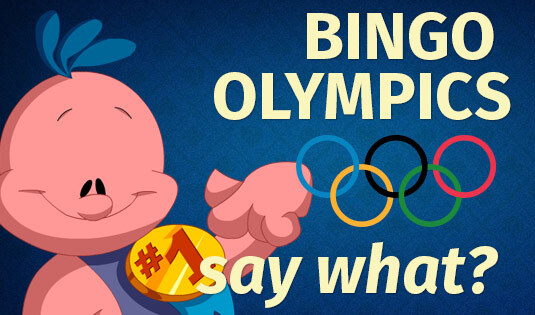 Help us make this the #1 listing for free online bingo games. If there’s one thing reality U.S. TV fans can thank their neighbors on the other side of the pond for it’s Dancing with the Stars. This hugely-popular American TV series came to life following the success of the equally well-loved UK TV series, Strictly Come Dancing. Both versions feature some of our favorite sports, television, and supermodel celebrities learning (or sometimes just improving) their skills on the dance-floor. Here in America, we’re so gripped by the weekly airings of Dancing with the Stars, that those of us who suffer from two left feet in reality at least now know the difference between a bolero and ballroom dancing, and a salsa and a shimmy. To keep us going until the Fall series begins in September 2014, we’ve been treated to the Spring series, which is the eighteenth season to run since the show began back in the summer of 2005. Everyone, including Skippy at the BingoMania HQ is hooked on this show along with the TV drama series Game of Thrones. Since the latest season started, we’ve seen two sports stars try their hardest to impress but get sent home with their tails between their legs in the first round of elimination. Long-distance swimmer, Diana Nyad, partnered up with Henry Byalikov, and successfully survived the show’s first airing, in which none of the contestants were eliminated. Nyad told the media that she’d wanted to perform on the show for nine years, and thinks “it’s spectacular”, comparing dancing to “freedom”. Her only regret on going home so soon is that she wished her and her partner, Henry, “could have had a few more weeks” to wow the judges. Diana wasn’t the only celebrity to be eliminated in Week 2; joining her was Sean Avery, the former NHL player, who the viewers and judges voted bottom of the pack after his performance with professional partner, Karina Smirnoff. In Week 4 saw James in a one-off partnership with Cheryl Burke as part of “switch up” night. 23-year-old James (who’s a member of the boy band, Big Time Rush) was subjected to a serious grilling by Dancing with the Stars’ new co-host, Erin Andrews, who was determined to find out if rumors that James is dating his dancing partner, Peta are true or false. The couple squirmed as Erin called them “adorable”, and said she wanted a DWTS baby. All Peta could respond with was, “Oh my God”, while Maslow told Peta, “You can’t have a baby while you’re dancing, alright?” Luckily, the duo soon managed to move the spotlight onto their dancing skills in Week 5, where they scored the first perfect score of the 18th season – 30 out of 30. Their impressive routine was performed to the popular song, “Let it Go” from the hit movie Frozen. Elsewhere, there have been awkward moments of a less romantic nature, with Julianne Hough accusing professional dancer, Maksim Chmerkovskiy of being lazy and “phoning in” his performance in Week 4. While Maksim managed to maintain his composure on the live show, he swiftly spoke to the media to call judge Julianne’s comments “absurd”. Fans of the renowned, hot-headed dancer have sprung to his defence on social media, and have hinted that Julianne’s comments may be biased as her brother, Derek Hough, is directly competing with Maksim in the dance competition. As for the most tear-jerking performance of the season, in our mind, that award has to go to Paralympic snowboarder and actress, Amy Purdy, who dances with Derek Hough. Episode 3 saw the celebrities tasked with dedicating their performances to the most memorable year of their lives so far, and Amy, who lost both of her legs to meningitis in 1999, chose to tell her story through dance on the big night. Previously, Amy has kept her legs firmly covered during live performances, but Week 3 saw her proudly unveil her prosthetic legs for all to see. The pair performed their dance to “Only Human” by Christina Perri, causing tears to spring to many of the audience’s and judges’ eyes. Judge, Bruno Tolioni called the performance “borderline miraculous”, and the pair received a glowing score of 36 out of 40. One shock announcement that came after the show on 31st March 2014 was the sudden departure of 77-year-old movie actor, Billy Dee Williams, who cited back problems as his reason for bowing out of the competition early. As the oldest contestant to appear on Season 18, Billy managed to make it through the first round of eliminations on 24th March, but to most TV viewers, audience members, and judges, he was visibly struggling with both his rehearsals and live performances. In Week 1, he told viewers that he’s had two hip replacements in the past and suffers from a “chronic back problem”. Despite his dancing partner, Emma Slater, praising his resilience, “commitment and determination”, the pair only scored 15 out of 30 for their cha cha cha. One of the most entertaining episodes of Season 18 came courtesy of Week 5, where the theme was Disney Night. The evening saw game show host and comedian, Drew Carey and Cheryl Burke score 28 for their quickstep, which was performed to “Friend Like Me” from Aladdin; ice dancer, Charlie White and Sharna Burgess scored 37 with a jazz version of “Supercalifragilisticexpialidocious” from Mary Poppins; and Full House actress, Candace Cameron Bure and her partner Mark Ballas score 35 with their samba, which was performed to “Under the Sea” from The Little Mermaid. Despite not scoring the lowest score of the night, pop star, Cody Simpson and Witney Carson’s samba to The Lion King’s “I Just Can’t Wait to be King” resulted in elimination. Who will stay and who will go from the line-up of remaining contestants is a mystery every season which is one of the reasons we are all so glued to this show. However, provided America keeps tuning in to watch and vote each week, we’re sure next seasons will have more twists and turns as seasons past. With 15.44 million television viewers watching the premiere on 17th March 2014, and a steady figure of around 14m tuning in for every subsequent episode, Dancing with the Stars seems to be one US TV show that’s going to be around for some years to come! Can’t wait for the next season to kick off. What’s been your favorite couple from this past seasons of Dancing with the Star? Share your thoughts for a chance to win 1 of ten (10) lucky $7 freebies. Leave your comment and alias along with your favorite couple in the comment box below. Winner’s will be randomly selected and credited over the next 48hrs. Good luck! 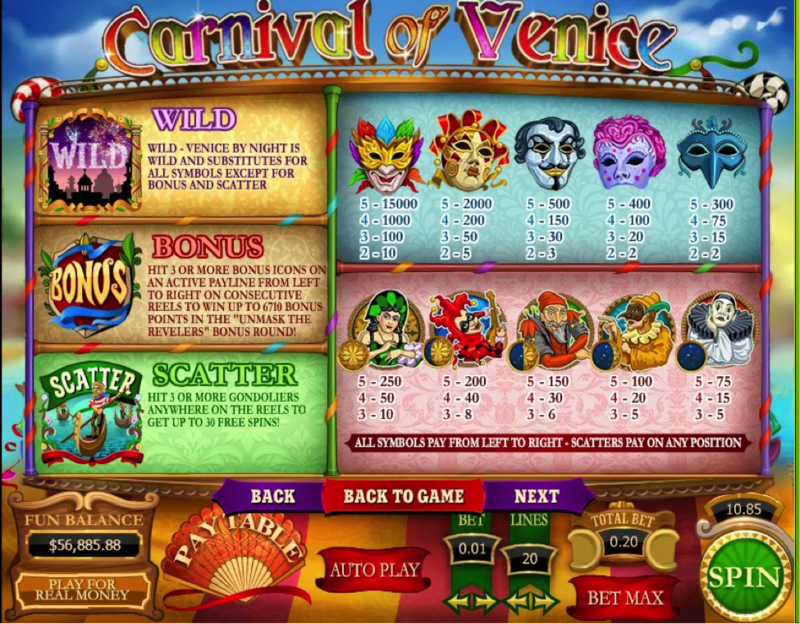 **Update** – the winners of the Carnival of Venice Slot machine have been credited. List of winners can be found on this facebook post. 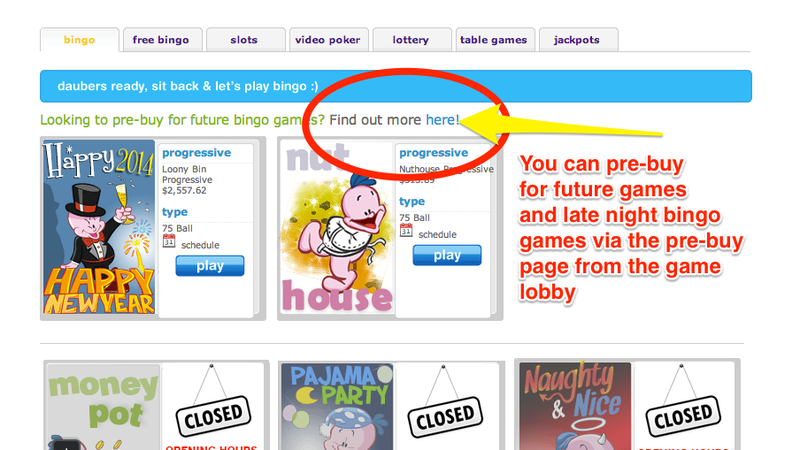 Yippee – more new slots are available for you at BingoMania.com and more to come your way in the days to follow. So far, we’ve featured the two exciting machines: Sugar Rush and Forest Treasure slots and this week, we’ve got the spotlight on the 20-line Carnival of Venice Slot machine with a chance to win 1 x 20 $10 free credits (see below for details). 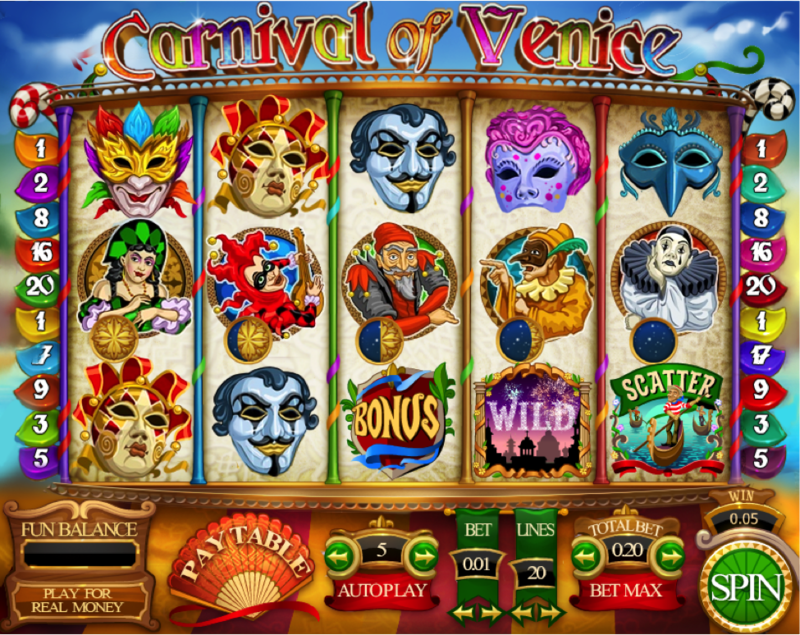 Inspired by the annual Venice Festival in Italy, this gorgeous 5-reel, 20-line video slot has all the excitement you’ll love. You can discover the city by night on an active pay-line to see it’s WILD side. 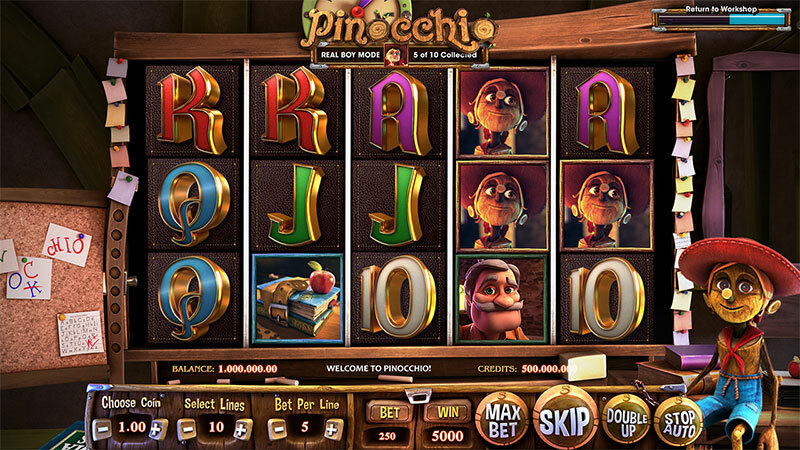 Or, engage 3 gondoliers anywhere on the reels, and you’ll be spoiled with 30 free spins. Plus, with the bonus round, you have the chance to unmask up to 6,710 Bonus Points. We think you’re going to love this new machine at BingoMania. Below, you’ll find more info about this exciting game. 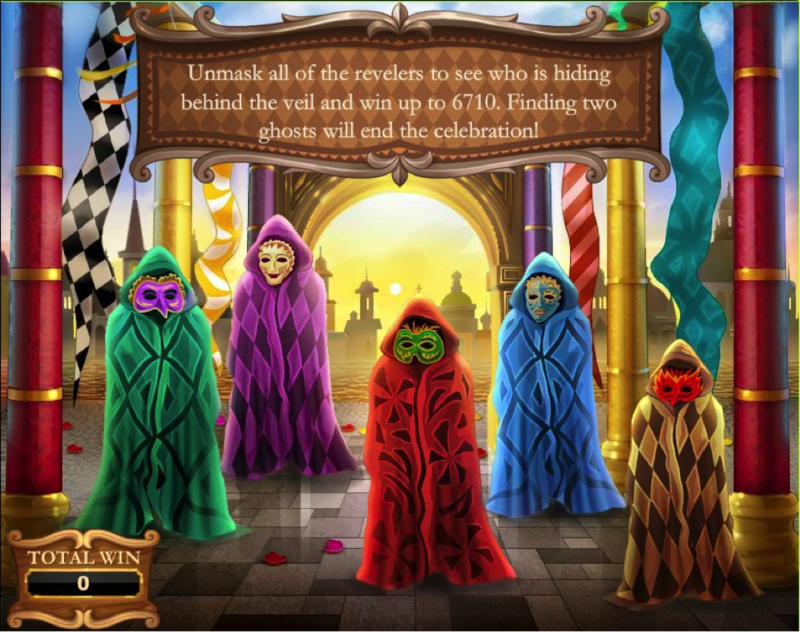 Figure 3: Bonus game “Unmask all of the revelers to see who is hiding behind the veil and win up to 6710. Finding two ghosts will end the celebration”. 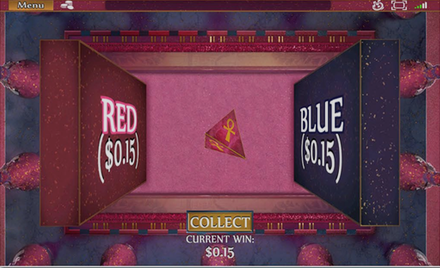 Bonus Rule – Three or more bonus symbols on any active pay-line trigger the “Unmask the Revelers” bonus game. 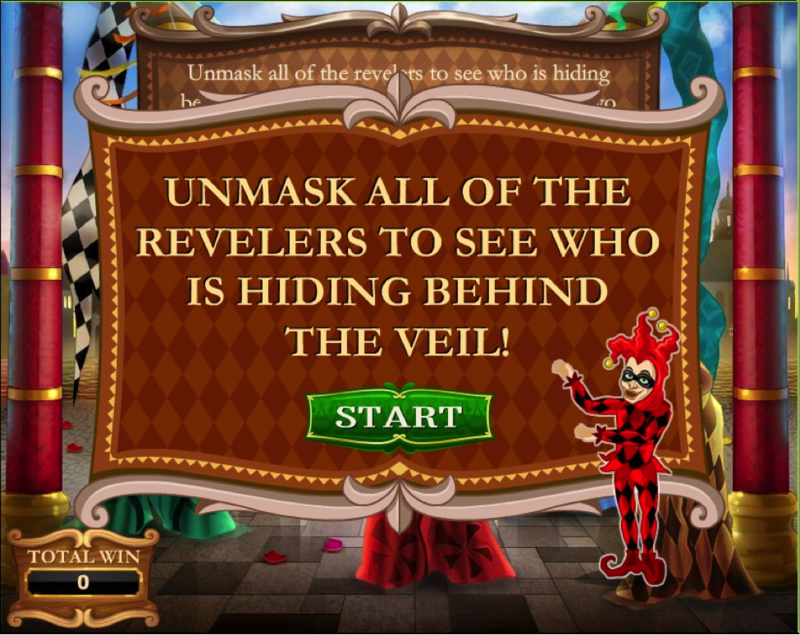 Bonus logic – User selects any of the 5 masked silhouettes that he is presented with to unmask them and find either one carnival participant or a an empty robe. 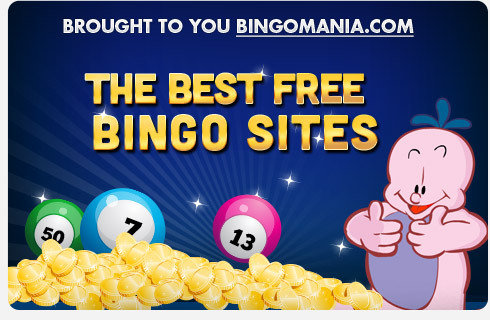 Looking for Bingo Mania Free Bonus Codes? You won’t be able to find them. Let us explain, unlike other online sites where you can find free bonus codes hidden across the web, a while back, we decided we will offer our best promos up front to all welcoming players without the need of any silly bonus codes. 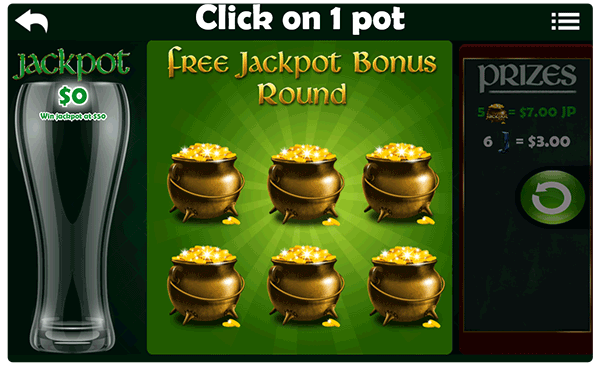 As we’ve been known to highlight, free bonuses alone are not what creates an enjoyable bingo online experience. We believe good value bonuses combined with exciting promos and cash prizes are the ideal recipe for the best in bingo experience. 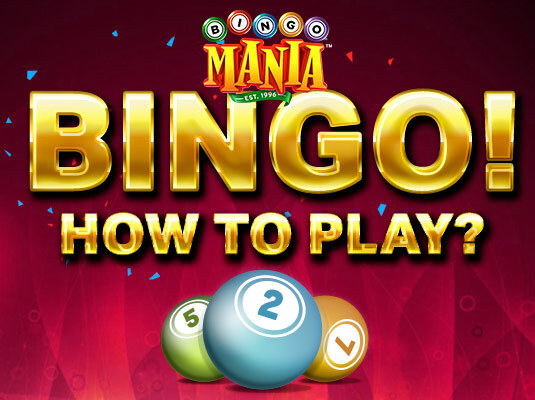 We hope this posts saves you time in the search of Bingo Mania free bonus codes and allows you to jump right into the exciting games available for you on our site. 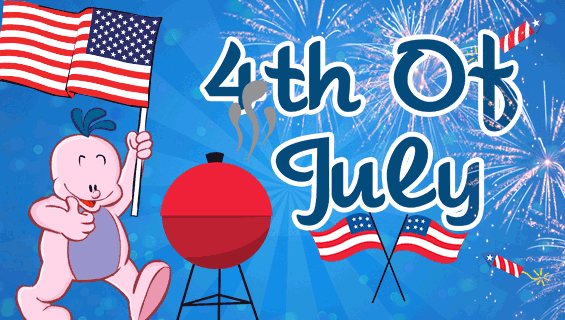 Have a fantastic day and happy playing! It might not be bingo, but Game of Thrones is swiftly becoming one of the favorite guilty pleasures of the people of North America and is one of the hottest water cooler topics at the Bingo Mania office. So, why exactly has this fantasy-themed TV show got us (and much of the rest of the world) in such a fluster? Well, imagine the anticipation of playing for the biggest Full House prize you can think of, only to fall at the final hurdle with 1TG, but then winning another amazing prize unexpectedly, just an hour later… This comparison goes some way towards describing the highs and lows of the emotions that this smash hit show causes among its fan base each week. So, without giving away too many spoilers, here’s some interesting background information, along with some fascinating facts and figures about one of the most popular TV shows of all time. Game of Thrones came about as a direct result of a series of fantasy novels written by American novelist and short story writer, George R. R. Martin. 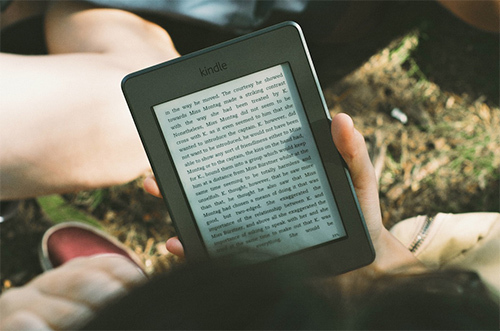 The debut book in the A Song of Ice and Fire series is called Game of Thrones, which is where the TV show took its name from, and it was first published back in 1996. George has written seven books in the series so far (Book 2: A Clash of Kings; Book 3: A Storm of Swords 1 – Steel and Snow; Book 4: A Storm of Swords 2 – Blood and Gold; Book 5: A Feast for Crows; Book 6: A Dance with Dragons – Dreams and Dust; and Book 7: A Dance with Dragons – After the Feast), and it’s said that he plans to write eight novels in total. D. B. Weiss and David Benioff came up with the idea of adapting the fantasy series in 2006 after reading the first book, and managed to quickly convince both HBO and George R. R. Martin to help them make their dream a reality. Development began in early 2007 once HBO had acquired the TV rights to the books, upon which D. B. Weiss and David Benioff were commissioned to write and executive produce the series. One of the most talked about things of this hit TV series is the amazing cinematography. 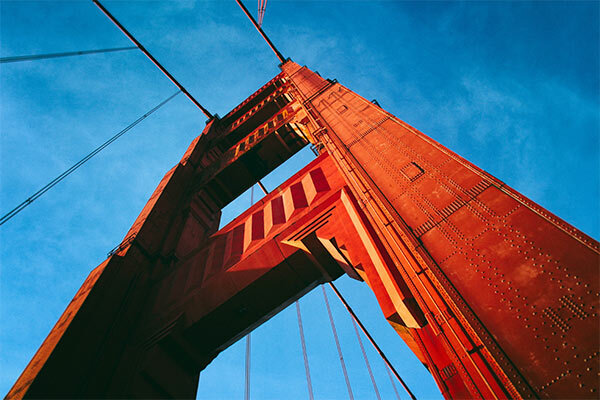 While some of the locations featured are created using CGI (Computer Generated Imagery), others are very much real-life locations. For example, the wedding scene for the Dothraki wedding, where Daenerys Targaryen weds Khal Drogo, was shot at the Azure Window in Malta. Many locations in North Ireland have also been used throughout the series, with Castle Ward and Doune Castle being used for some of the Winterfell scenes, Magheramorne Quarry standing in for Castle Black, and Sandy Brae being used for Vaes Dothrak. Later on, the cast got to travel to more exotic locations such as Morocco and Croatia, where some of the scenes requiring sunny climates were filmed. With such a huge cast and crew, plus significant travel costs to shoot all over the world, it’s fair to say that Game of Thrones is possibly the most expensive television series ever commissioned. Many sources say that each episode costs an average of $5,000,000 to make, which comes to an eye-watering total of $50 to $60m for a whole series. The show is said to employ the largest cast on TV, with no less than 257 actors’ names (not including extras) being recorded by the time the third series was broadcast. Understandably, therefore, it can sometimes be a little hard to keep up with who’s who. The main families in the show are The Starks (Ned, Catelyn, Sansa, Arya, Robb, Bran, Rickon), The Lannisters (Cersei, Jaime, Tyrion, Tywin, and Joffrey), the Greyjoys (Theon, Balon, and Asha), and the Targaryens (Daenerys and Viserys). One of the wonderful things about actors and actresses is their ability to put on convincing accents, and this is proven brilliantly in Game of Thrones. Some of the characters who speak with English-sounding actors are, in fact, American, such as Peter Dinklage (who plays “The Imp”, Tyrion Lannister), while Aidan Gillen (who plays Lord Baelish), Jack Gleeson (who plays Joffrey), and Michelle Fairley (who plays Caitlyn Stark) are all Irish. Mellisandre (played by Carice Van Houten) is Dutch, and Tyrion’s secret lover, Shae, is played by German actress Sibel Kekilli. Alfie Allen, who plays Theon Greyjoy, is UK singer, Lily Allen’s brother. She even sang a song about him in 2006, which included the lyrics, “My little brother’s in his bedroom smoking weed”. Flame-haired Sansa Stark is really a blonde; well, the actress who plays her is at least. Jack Gleeson, who plays the tyrannical Joffrey, starred in the hit movie Batman Begins. Michelle Fairley, who plays Catelyn Stark, appeared in the Harry Potter movies as Hermione’s mom. Natalia Tena, whose character is the wildling called Osha, is the lead singer of a band called Molotov Jukebox. She also plays the accordion! 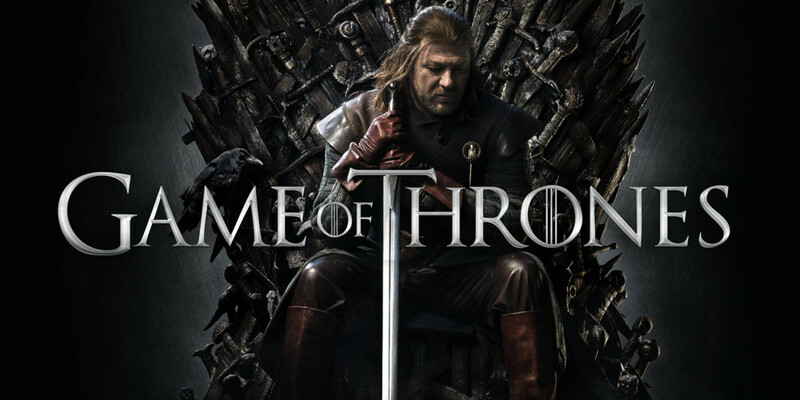 The last episode of Season 4 of Game of Thrones aired on HBO East at 9pm (ET) on Sunday 15th June 2014, but all’s not lost, as you can catch up with many of the previous series via HBO’s On Demand service or buy purchasing the DVDs. Just imagine if you’d never tried a game of bingo, you’d be kicking yourself; so, give Game of Thrones a try and see why millions of Americans think it’s one of the best TV shows ever! What’s been your favorite twist from the past four seasons? Share below & win 1 of 10 free $10 cash prizes. Bingo has been around for a lot longer than you might think and has a lot of interesting stories you probably don’t know. Are you ready to expand your bingo knowledge? 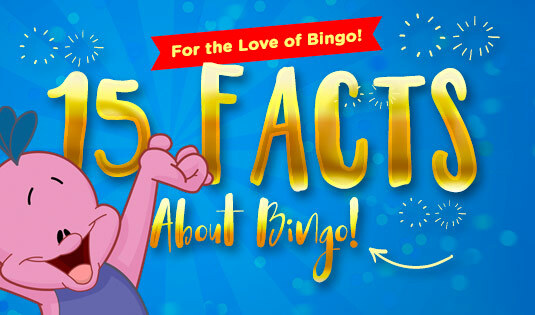 Check out some of these bingo facts have both sources and come from our own experience as a premier online bingo site! The earliest that we can trace a bingo-type game is back to the Renaissance era. In the 1530s, Italy was playing a game called Lo Giuoco del Lotto D’Italia, the Game of Italian Lottery. The earliest bingo cards we have heard of come from Germany in the 1800s. Surprisingly, it wasn’t for gaming. They were used as educational tools for students to learn multiplication. See, there’s some history to math bingo! Have you ever wondered just how many bingo card combinations there are? One calculation puts the number of possible cards at 552,446,474,061,128,648,601,600,000! Despite having so many different combinations, the first bingo cards sold in a set for the U.S. may have caused a man’s insanity. Carl Leffler, a math professor from the University of Columbia was hired to generate 6,000 cards by hand random enough to give all the players an equal shot. Legend has it that the man went insane after his efforts. Remember, there were no computers or electronic calculators back then! (5) 1,474,200 Ways to Win! You might only play with the standard 5-in-a-row win, which gives you 12 different ways to win. 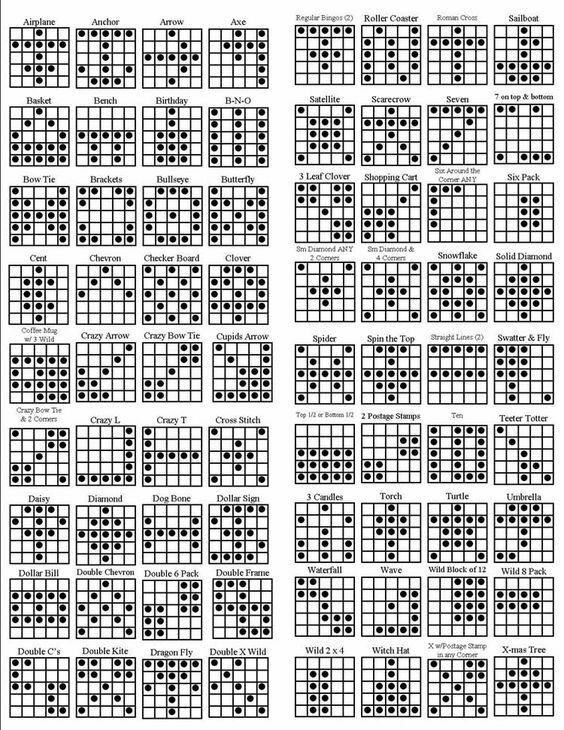 But if you calculate out all the different combinations of spots on a 5×5 card, there’s actually 1,474,200 ways to win. You just have to convince your caller that your pattern is valid! The word bingo, by legend, is said to have derived when an excited woman called the word out instead of beano, which is what the game used to be called. Beano was called that because they used to mark the cards with dried beans. Considering the use of the product we call Beano today, it’s probably a good thing we changed it. If you’re looking for a partner and you’re a guy, you might want to consider going to the bingo hall or playing online. Statistics show that around 80% of all bingo players are women. Many of them are European, where the game is very popular. And if you think they’re all old, think again. The fastest growing segment of bingo players is under 35. (8) #1 Reason for Playing Bingo? Why do people play bingo? The top reason is for the sheer enjoyment of the game. Winning the big jackpot is only the fifth highest reason. Nevertheless, most regular bingo players do report hitting the big jackpot at least once in their lives. That’s a lot better than most regular slot machine players! Online bingo is huge, especially in Britain. 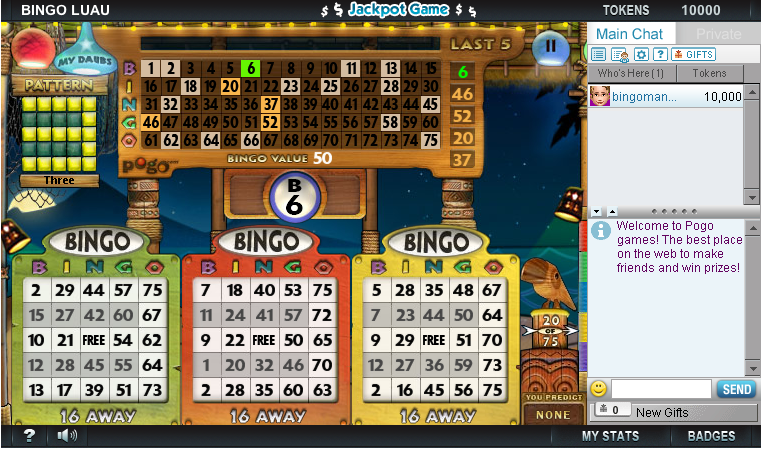 In 2010, $640 million in revenue was earned by the online bingo industry. Half of that came from Britain. 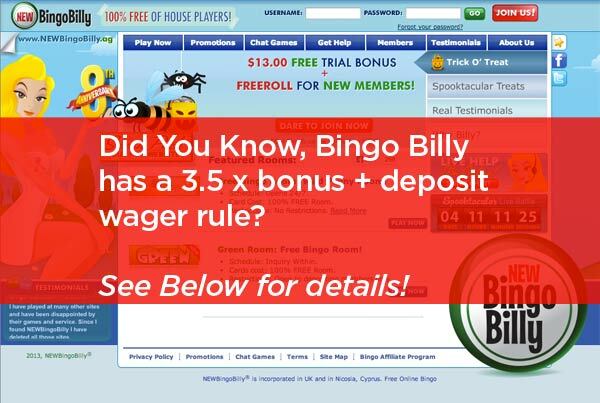 About half of online bingo players play at least once a day. 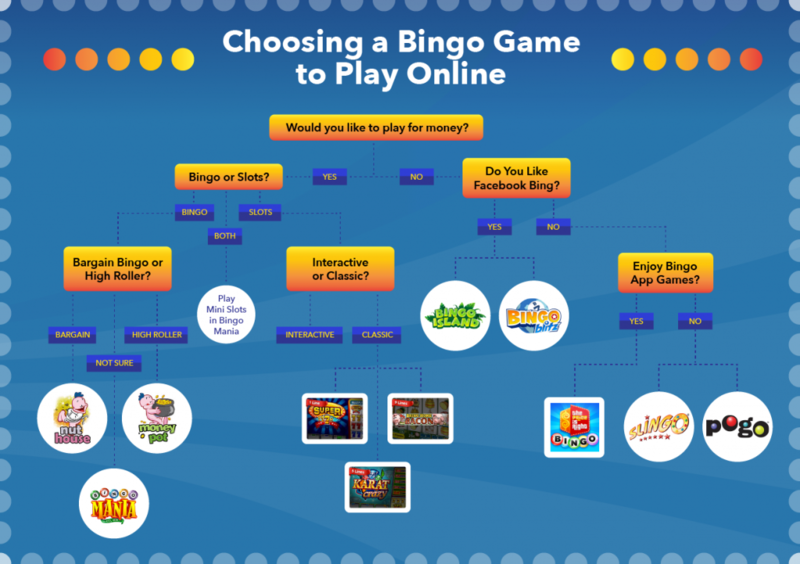 Considering the chat functions in online bingo, that means you have a good shot of keeping up a daily conversation with your bingo partners. 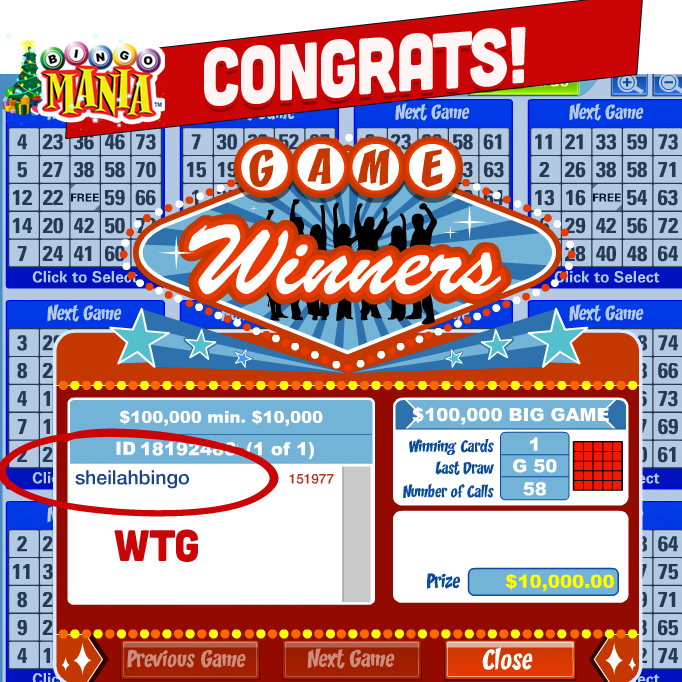 Online bingo sites use random number generators to choose the numbers. 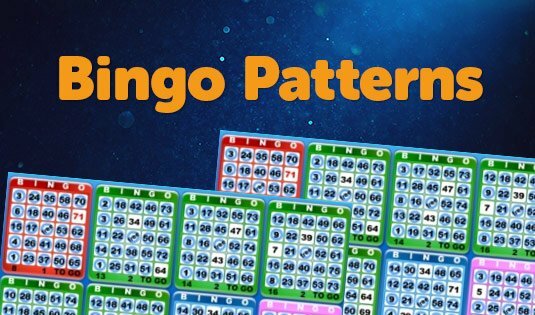 In order to prove they are fair, bingo sites have to register their number generators with testing authorities that also work on real-world slot machines and other gaming devices that use electronics to generate random results. 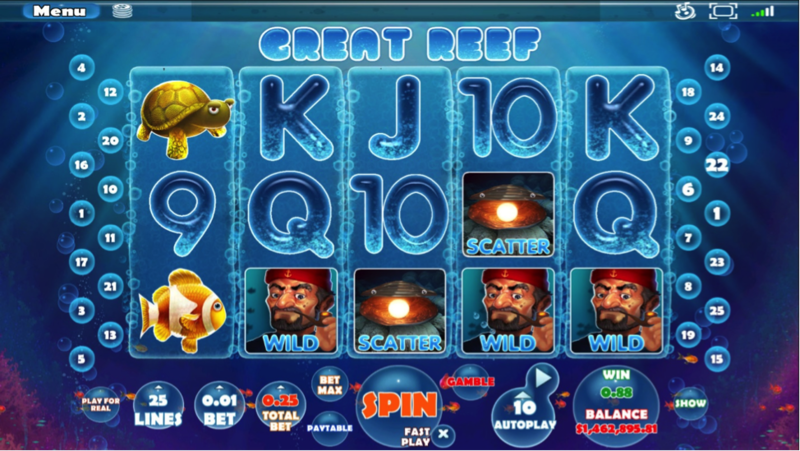 Bingo is a game that often sits at the edge of traditional gambling and non-gambling games. Some jurisdictions in the U.S. have a weird combination of slot machines and bingo machines. 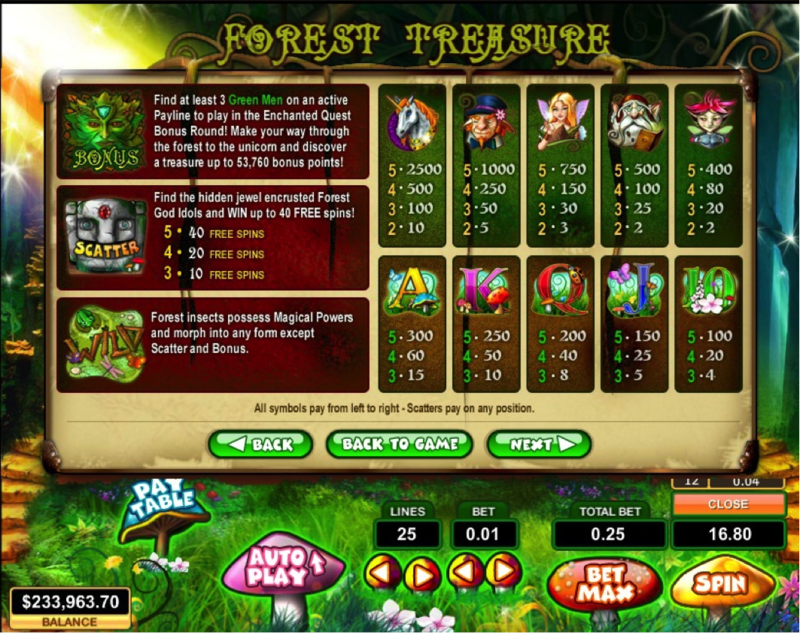 Each play actually generates a new bingo game and results from a set of cards. Depending on the results of those, you get a flashy electronic slots experience. 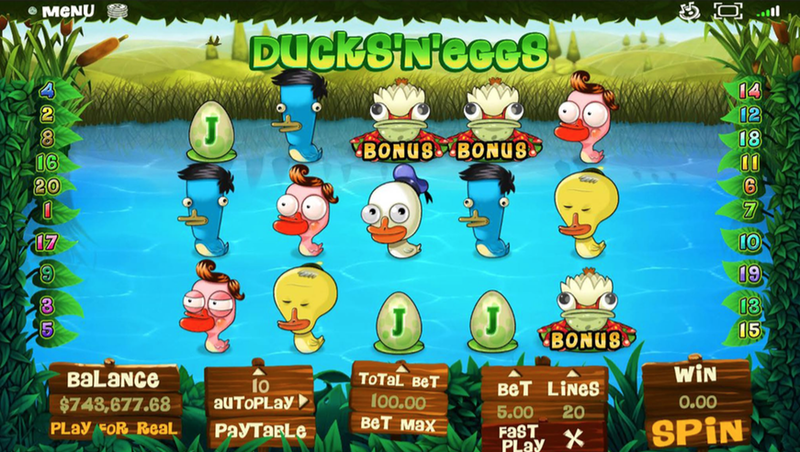 The bingo results are displayed on a separate screen above the player’s head. This is a way to get around rules banning normal slot machines. 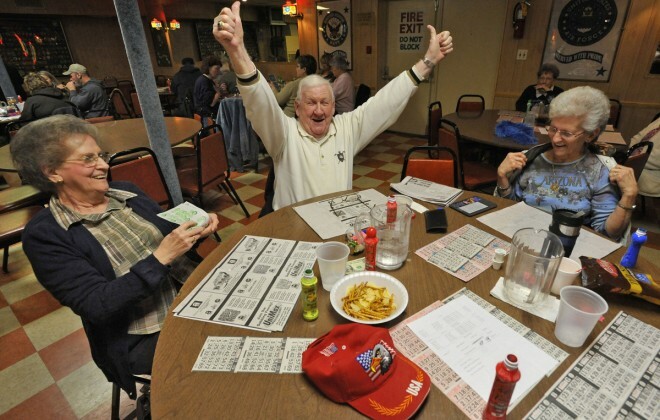 Despite a reputation for being a dowdy game in the U.S., over $90 million is spent each week on bingo cards. That’s a lot of charity games! If you play bingo across the pond, you’ll likely find a much different game than you’re used to. 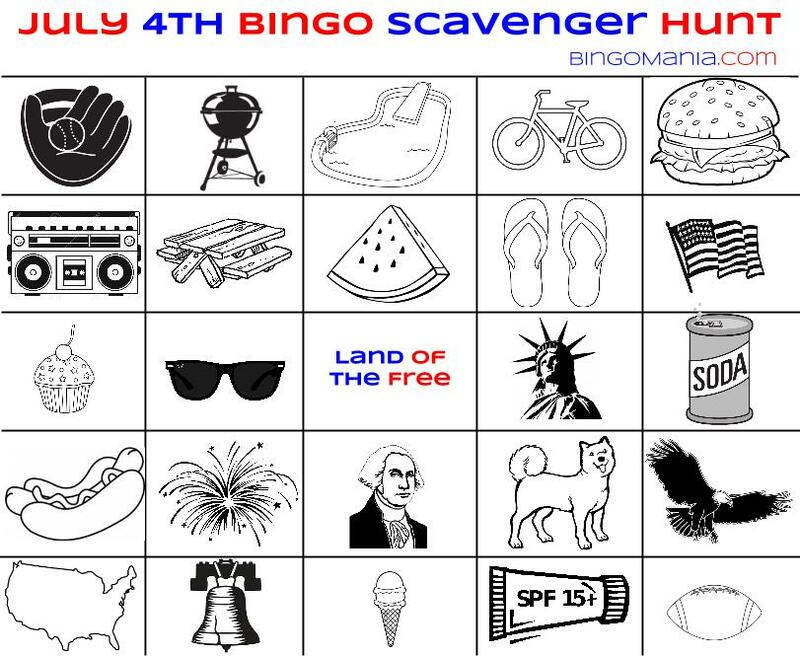 U.S. players play 75-ball bingo with a 5×5 card. Most other players play 90-ball bingo on a set of 9×3 cards. The largest known bingo wins were recorded in Britain. One grandmother won over £1.1M at a bingo hall in Wales. 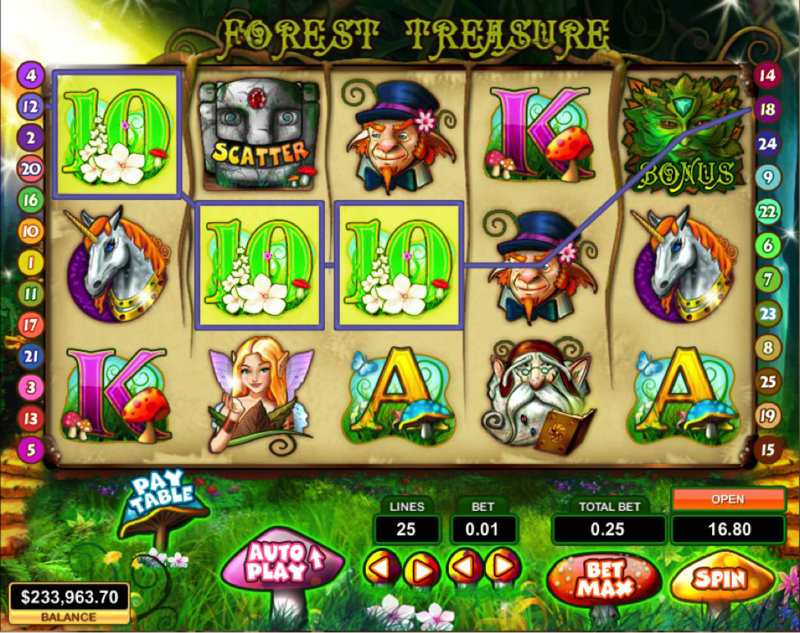 The largest online win came in at £430,900. With these facts in your pocket, you’ll be sure to impress some of your friends with your bingo knowledge. 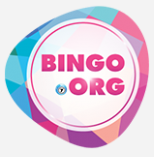 Do you have any interesting facts that you’d like to share about online bingo? Which of these 15 Fun Facts Were You Surprised By? 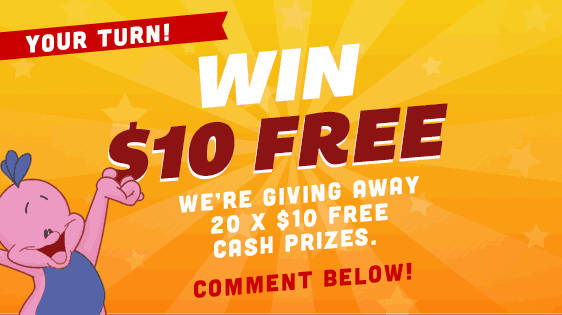 Let us know in the comment box below for your chance to win 1 x of 10, $10 free bonuses. If you’re like most bingo players, you’ve tried a lot of different online bingo sites and bingo halls, and you probably ran into some pretty strange bingo variants. 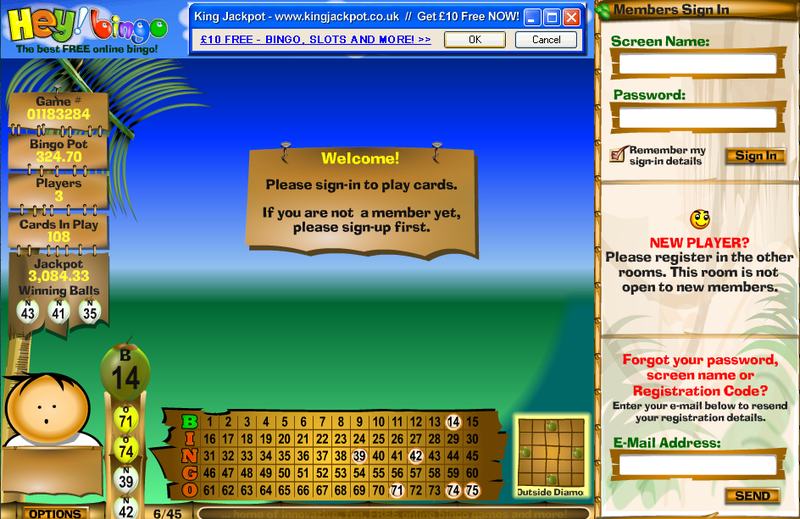 The UK has a huge online bingo community, but the kind of bingo they play there is not the kind US players are used to. We’re going to take a look at how different countries approach bingo and online bingo. You just might read a variant you’ll want to try! 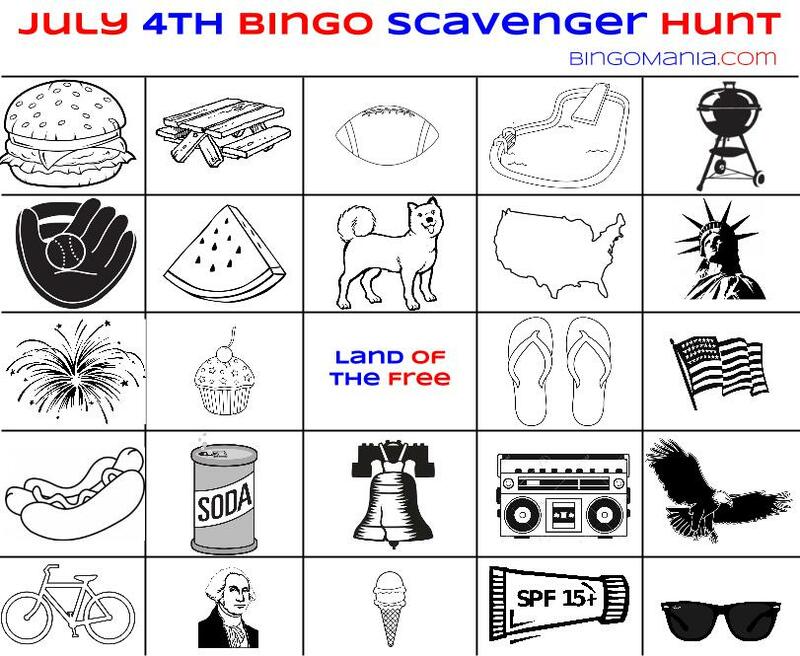 This is a game that uses 75 balls and 5×5 cards and is the most common way to play bingo in the United States. Each column is labeled with one of the letters of the word bingo. Numbers 1-15 can be found in the B column, 16-30 in the I column, and so on. Thus, each column will have a third of the possible numbers for each letter. The center space is considered to be a free spot. The goal of the game can vary, but the basic version involves getting five spots marked in a straight line in any direction. However, there are many different win variations depending on the game that’s going on. Players playing in a bingo hall or online should always confirm what that game’s winning conditions are. During play, a caller pulls out a random number one at a time, then announces the letter and the number. If no one calls out bingo after a period of time, another number is pulled and the process repeats until someone calls out bingo. Once that happens, play stops and the caller or an assistant checks the cards to see if the win is valid. This version of bingo is played with 90 balls and has more of a gambling feel to it. Instead of cards, players are issued strips. Each strip has a set of tickets on a page, usually six, and one strip is used each game. Each ticket is made up of three rows of nine spaces. Within each row, four spaces will be blank and five will have numbers. The first column can have the numbers 1-9, the second 10-19, and so on. A six-ticket strip will have all 90 numbers somewhere on it. There are only three ways to win. The first person to fill in all five spots in a row on one of the tickets wins first. Then the person to fill all five spots in two rows in a single ticket wins. Finally, the person who can black out an entire ticket wins. It is possible to win more than once in a single game. Usually, the later prizes are worth more than the earlier ones. Other than these changes, the same procedure is used for calling, though only the number is called with no letters. Loteria is a bingo variant, but a very strange one. Instead of using numbers, a special deck of 54 cards is used with different images on them. Players have 4×4 cards with corresponding pictures on them as their play cards. There are several ways to win depending on the variant played, including four-in-a-row, four-in-a-square, all four corners, and blacking out the whole cards. Loteria callers have a set of riddles that they use to describe the cards before showing them. Those who can figure out the riddles early have an advantage over newcomers. Callers are rated on the cleverness of their riddles. It’s a great way to learn some colloquial Spanish. And instead of bingo, winners call out Loteria! 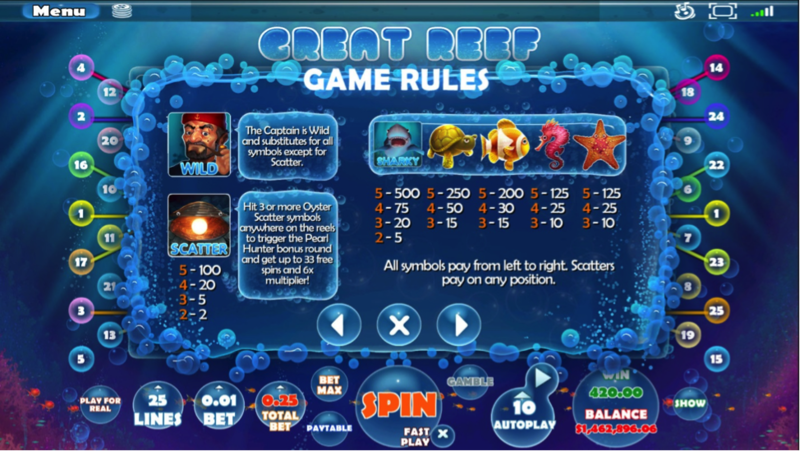 Thanks to online bingo, there are also minor variants you can find like 30-ball (speed) bingo, which is played on a 3×3 card, and 80 ball bingo, which is played on a 4×4 card. Smaller cards like these lead to faster games which appeal to some players. There are also strange variations like death bingo where getting a bingo kicks you out of the game! The most common variants you’ll find online are 75 and 90 ball, so anyone who wants to play bingo with foreign players should learn both variants. BingoMania offers both 90 ball and 75 ball bingo so you can pick the one you like the best! 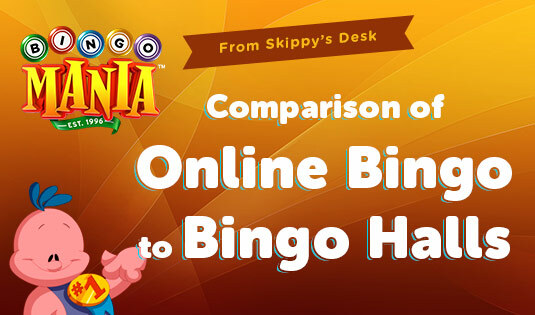 If you haven’t tried one or the other, sign up for an account on BingoMania today. What’s Your Favorite Type of Bingo Game (75, 90, or Lotteria)? Winner’s will be picked and credited by Monday, June 6, 2016. 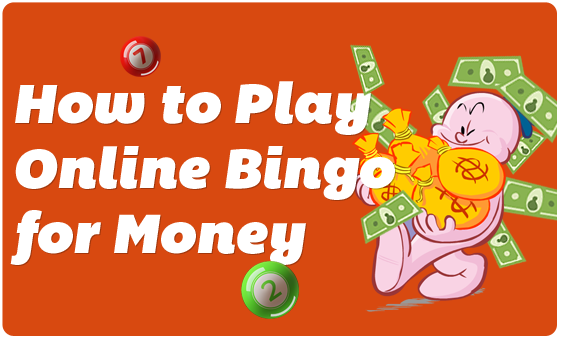 There are a lot of things to consider when deciding where to play bingo online. It may seem like there is a dizzying array of options for the discerning player to try their luck. According to an article in SBC News, 50% of bingo players in the UK, where the game is the most popular, have accounts on 10 or more bingo sites, and 30% have accounts on 15 or more! So it’s okay to shop around and try some different ones before you settle in on your core list of sites you like. This is a rather inventive time for new bingo sites all over the world. 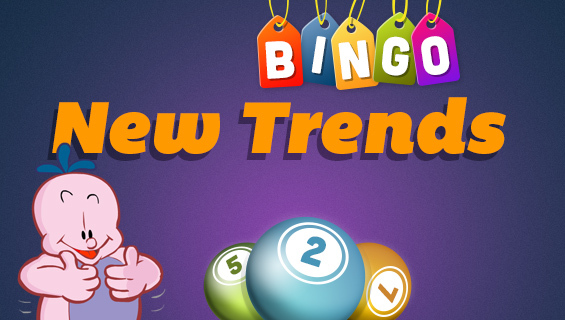 There was an explosion of interest over the past few years that drew a lot of new players to playing bingo online, but now the audience is starting to mature, so bingo sites are having to come up with new ways to offer a positive experience for new players and keep their loyal players happy. It means better games, more exciting promos, and of course, better funding bonuses are coming to you, the loyal player. For instance, many sites are turning toward individual reward strategies, similar to what BingoMania did about a year and a half ago, with the launch of our new Progressive Reward Program. With the help of your feedback, we can introduce new incentives and promos to match your playing style. 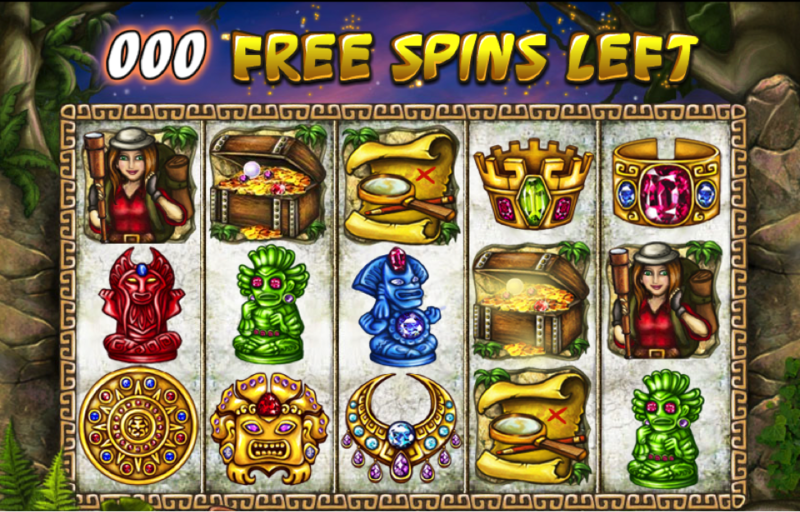 For instance, we’ve recently offered you free spins on new games and progressive jackpot contributions towards new slot games. We are now also working on a new feature called the Bonus Spinner (coming soon). Our motto at Mania is: let’s offer our loyal players what they want. Bingo sites are also having to compete with bingo applications that don’t involve money. Sure, you could do that, but you’d have no chance to win real money playing those games. We want to see our players win cash and have fun while they enjoy the games, the chat room features, and all the other site amenities. plus a very friendly community who will be glad to talk with you about the site and about how much they love to play bingo! What Are Your Favorite BingoMania Perks? 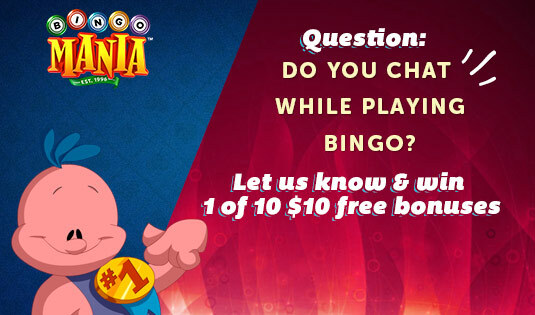 Now it’s your turn, tell us what are your two favorite perks for playing at BingoMania?